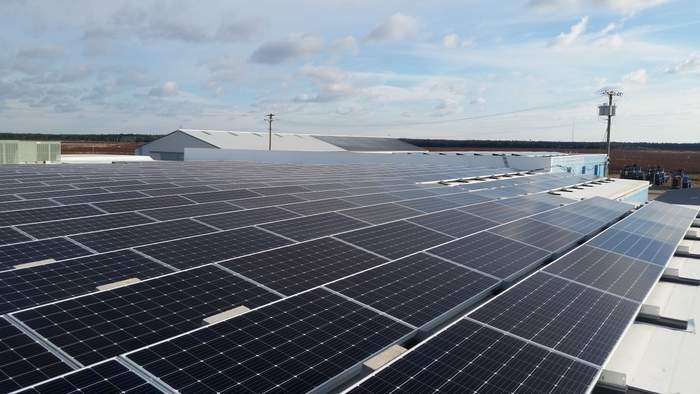 Atlantic Blueberry in Hammonton, N.J., announced that SolarKal and their partners have completed the farm’s transition to solar energy. SolarKal’s commercial solar installation process guarantees that Atlantic Blueberry will recoup its investment in 3 years, and generate millions of dollars in revenue and savings. Atlantic Blueberry, one of the county’s largest producers of high-bush blueberries, elevates its 3-generation commitment to sustainability with the new solar system, helping to eliminate energy costs, and decrease their carbon footprint. SolarKal works with commercial developers, property owners and managers nationwide on navigating the transition to solar. Yaniv Kalish, CEO of SolarKal said “We are happy to announce that, with the completion of this project, we can start to deliver clean and cheap power to Atlantic Blueberry. Like many of our clients, the farm had explored solar for years before deciding to use our proprietary platform. I think that every business in NJ should install solar panels now due to current favorable tax credits, local state incentives and to support the clean economy. Unfortunately, the process of going solar and the explosion of solar vendors prevents many real estate owners and businesses who don’t have the time and resources to go through this process. By taking all the load off Atlantic Blueberry, SolarKal helped them to not only save time, but also feel comfortable that they have experts by their side.